You are here: Home / Blog / Cancer Treatments / What is Immunotherapy? Immunotherapy refers to a type of cancer treatment that attempts to stimulate the body’s immune system to attack and kill cancer cells. Foreign invaders, such as germs or viruses. Damaged, diseased, or abnormal cells in the body, including cancer cells. The various components of the immune system communicate with one another through electrical and chemical signals to monitor and protect the body. Immune cells exist throughout the body, including many types of specialized cells that server specific purposes. When immune cells encounter certain antigens, which are chemical substances produced by viruses, bacteria, and unhealthy cells, the immune system recognizes the entities “foreign” or unhealthy and initiates an immune response. The primary actors in immune responses are white blood cells. There are many types of white blood cells, each with an important function. Macrophages and natural killer cells, for instance, constantly patrol the body for disease or unhealthy cells. Other types of white blood cells, such as cytotoxic T cells and B cells, act against specific targets. “Cytotoxic T cells release chemicals that can directly destroy microbes or abnormal cells. 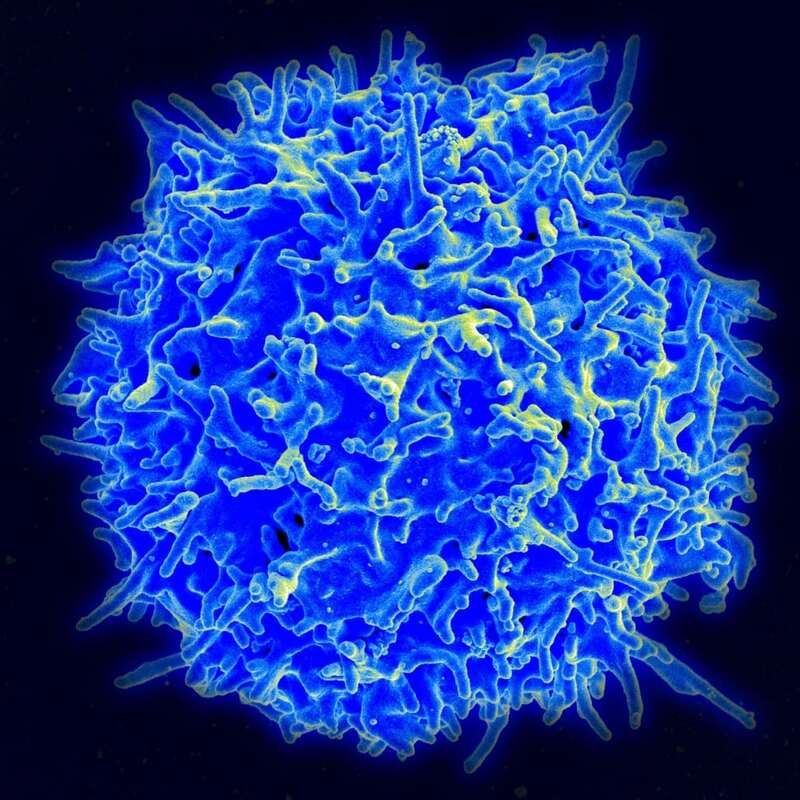 B cells make antibodies that latch onto foreign intruders or abnormal cells and tag them for destruction by another component of the immune system. Still other white blood cells, including dendritic cells, play supporting roles to ensure that cytotoxic T cells and B cells do their jobs effectively. What is the goal of immunotherapy? The goal of immunotherapy for cancer is to overcome these barriers to an effective anticancer immune response. These biological therapies restore or increase the activities of specific immune-system components or counteract immunosuppressive signals produced by cancer cells. https://treatcancer.com/wp-content/uploads/2015/12/Healthy_Human_T_Cell.jpg 1600 1600 Southeast Radiation Oncology Group, P.A. https://treatcancer.com/wp-content/uploads/2015/08/SERO-logo-PNG-450x174.png 2015-12-16 22:31:592018-10-24 01:16:21What is Immunotherapy?